On Thursday 28th March we set off early to the London Youth Games which were held at Redbridge Sports Centre. 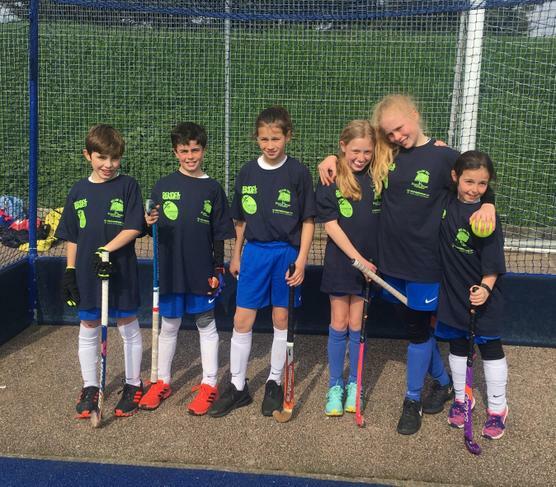 Our team (Annabel, Finlay, Izzy, Lottie, Matteo and Toby) were excited to be representing Ealing as the best hockey team in the Borough. Playing against all the best schools across London we knew it would be tough, but we were hoping to get past the group stages. We had a good start in our first match against Hammersmith and Fulham winning 9-0. Mateo and Toby scored the goals and Lottie and Izzy were strong in defence. We then beat Brent 4-1 and had a close 4-3 win against Sutton. Annabel and Toby scored the goals with Finlay and Lottie working hard at the back. We went through to the next stage as group winners and played last year’s champions Kingston winning 9-3. We then lost 5-2 to eventual runners up Wandsworth. We then played Lambeth knowing that a win would get us through to the Quarter Finals. We went 2-0 down, but kept going and ended up winning 5-3 with some great tackling by Finlay and Izzy to keep us ahead. In the Quarter Final we played a very good Hillingdon team and went 1-0 down. Toby played a through ball for Mateo to equalise, but from then on Hillingdon were too strong and won 6-1. We were disappointed to have lost, but in the end we were very proud to have represented Ealing. 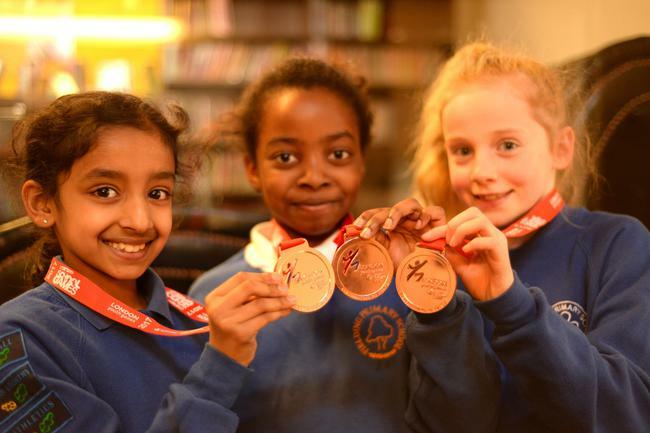 We finished equal 5th out of over 1,800 Primary Schools in London!! 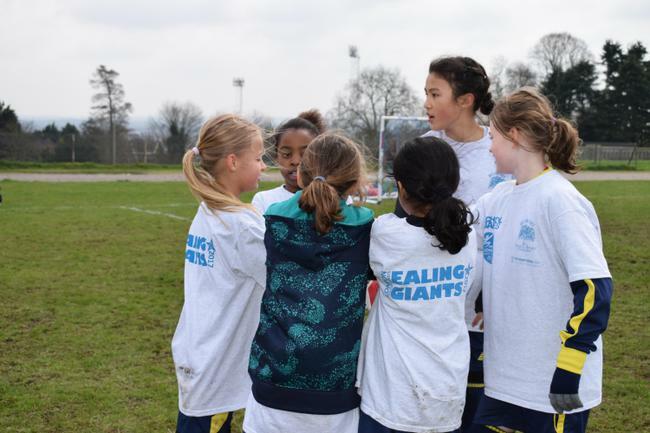 Today the Girls Football team travelled to Redbridge Sport Centre as the best football team in Ealing to compete against the best girls football teams from each of the other 32 Boroughs. We were drawn into a group of 8 teams with the top 4 progressing into the knockout stages of the competition. 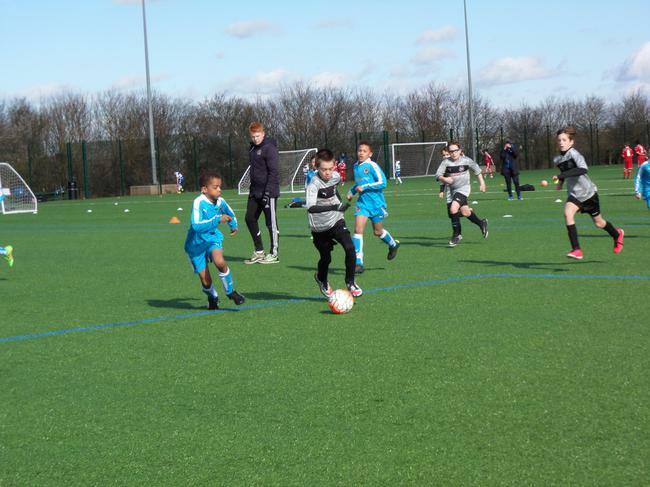 Our first game was a very tough game against Islington. They had a great attack and a great defense but so did we and we ended up cancelling each other out and ended 0-0. This showed us the level we would be playing against today and helped get our minds ready for what was ahead. Next up was Greenwich and great team effort ensured that we got our first win of the day as we beat them 3-0. Our third game of the group was Redbridge which started well as we took the lead to go 1-0 up. A defensive mistake from the resulting Redbridge kick off led to an immediate equaliser. We battled on and were on top and eventually took the lead again, but once more a lack of concentration led to another Redbridge equaliser. The game finished 2-2 and gave us some good learning points for our remaining games. Walthamstow were to be our next opponents and we used the game to bounce back as we got more points on the board with a 1-0 win. 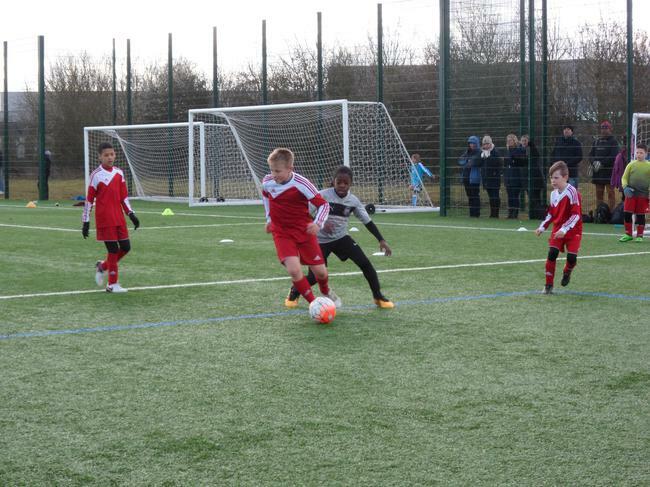 Kensington and Chelsea were next and hard work and concentration led to another 1-0 win for our Ealing team. The penultimate game of the group was up against Wandsworth and due to our success so far gave us the opportunity to think about resting key players. The rotated team still played some great football and earned a good 0-0 draw. Finally we had Batersea to end our games in the group. Some more rotation to rest some of our girls and again a great team performance gave us a 2-0 win. The final round of results meant that we finished the group in 1st place. In the round of 16 we were drawn against 3rd place group B finishers, Bromley. They were a very good team and really wanted a place in the quarter finals. It was us who took the lead though to go 1-0 up. We then had to remain composed to try to get another goal but more importantly, not concede. We did just that and ended up winning 1-0. In the quarter finals we were drawn against Bexley, a team who apparently had a very good player at the heart of their team. We found that out for ourselves very early in the game as she caught us sleeping and scored a great goal to put Bexley ahead. A second goal followed quickly which was now testing our resilience. It was still early in the game so still lots to play for, and we did just that. We pressed and pressed, forcing the Bexley keeper to make some great saves while also hitting the woodwork. Eventually, our pressure paid off as we got a goal back but it was late in the game. We kept working but time was against us and the whistle blew. 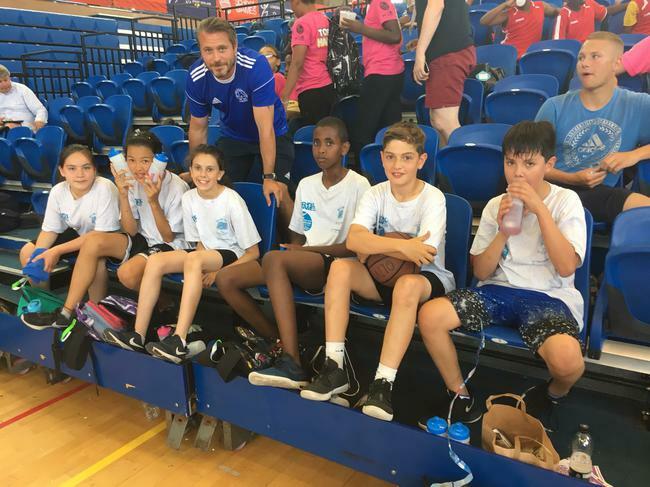 We were out in the quarter finals of the London Youth Games but were proud knowing that we had got there ahead of over a thousand over London schools. We were also consoled by the fact that Bexley went on to win the tournament so had lost to this years best team in London. A great effort from all of the girls, you did the the school and the Borough of Ealing proud. 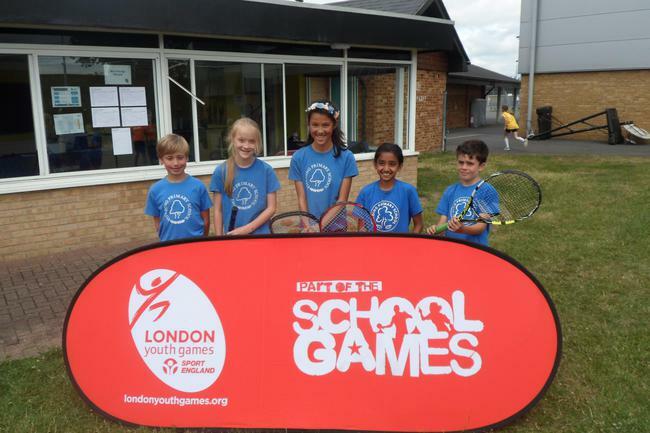 The Year 5/6 tennis team travelled across London to Redbridge Sport Centre today to represent Fielding and the Borough of Ealing at this years London Youth Games. We were drawn in a group alongside Newham, the borough that has won this competition for the last 2 years running! Newham were our first game in the group to give us a taste of how tough today was going to be. It was a valiant effort by our team which included Jake from Year 4 but unfortunately they were too strong for us as they beat us 3-1. We were up against Enfield in our second game and bounced straight back with a 3-1 win. Harringay was our 3rd game of the group and proved to be another tough one. Serafina, Izzy, Jake and Jack all lost their games against their Harringay counterparts to lose 4-0. We needed to show resilience again in our next game against Sutton. We did just that to win 3-1! It was proving to be a day of ups and downs though as we lost our 5th game of the day against Waltham Forest 3-1. In our final game against Croydon we had to see if we could bounce back for a third time and after a tough set of games we managed to just that again to win 3-1. So after playing against 6 other London Boroughs in our group we had won 3 games and lost 3 games to finish 3rd in the group. That wasn't enough to make it to the knockout stages but it was certainly enough to make everybody here at Fielding very proud. Congratulations to all 4 of our excellent tennis players! As well as taking the Year 3 and 4 tennis team to Crystal palace today, we also had the Year 5 and 6 mixed basketball team. Fielding were crowned Borough champs last month and so were also representing the borough today. We were drawn into a group of 4 teams with Tower Hamlets, Brent and Richmond and had to finish top of the group in order to progress to the next round of groups. We had Tower Hamlets to overcome in our opening game so Oliver, Suleman, Rory, Marta, Lelique and Serafina had to start strong. We did start strong as we ran out 16-0 winners in the first game after some excellent play from Rory and Lelique. In the second game we were up against Brent in a game where we looked good once again. This time Suleman and Oliver were very influential in getting the result in attack. We also saw some good defensive play from Serafina and Marta. The final game was against a Richmond side who had also won both of their opening games and so it was a winner takes all situation in terms of progressing to the next round. Richmond started a lot quicker than us as they built up a 12-0 lead without us worrying them much in return. However, we started to turn it round as we started to get some points on the board. Unfortunately it wasn't enough as the game finished 12-7 and we finished second in the group. It was a morning of fantastic basketball though in a brilliant venue so we are all very proud of the basketball team. Well done everyone involved and hopefully we will be back next year to try again! 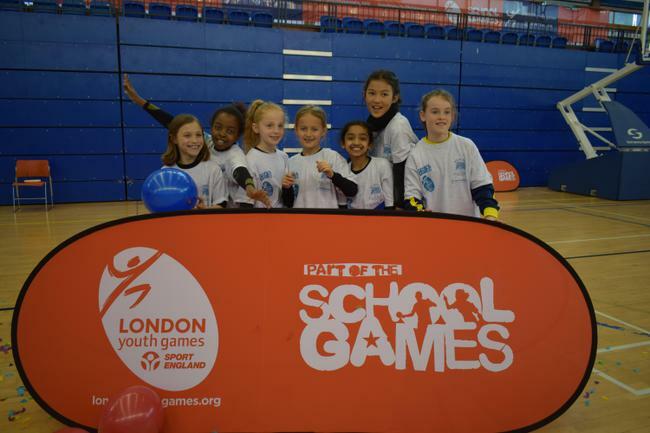 Today we took the Year 3/4 tennis team to their London Youth Games finals but this time we were at Crystal Palace. 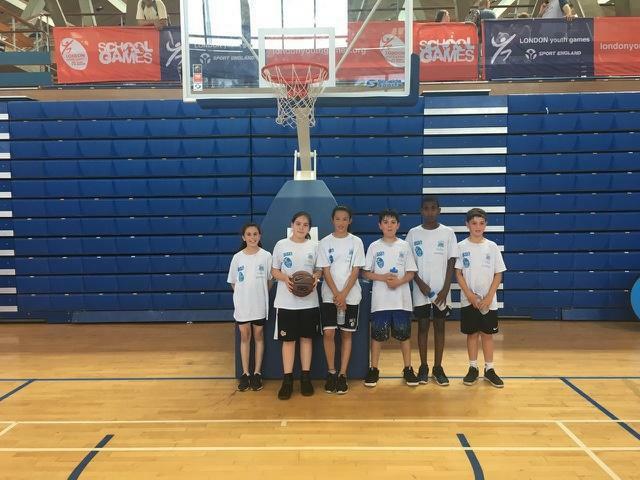 The squad consisting of Noah, Fred, Lily and Izzy were ready to test themselves against the best and had Hillingdon to try to beat in their first games. Fred and Lily unfortunately lost their games but Noah and Izzy got the wins in theirs which meant we started off with a 2-2 draw. Second up for the Ealing Giants was Barking and Dagenham. Izzy won her second game of the day, but Fred only managed a draw and Noah and Lily lost against good players. Game 2 therefore finished in a 2-1 loss. Next up was Greenwich. We won the first game. Won the second. Won the third. Then in the final game we won again to register a clean sweep of wins to make it 4-0! Games were coming thick and fast without much time for rest so it wasn't long before game number four against Westminster. Westminster had a very good team and dominated in all but Noah's game who claimed our only victory against them, to give us a 3-1 loss. So half way through the group games we had won 1, lost 2 and drew 1. It wasn't a great start but definitely something we felt we could build on. Harringay were the borough who we hoped would allow us to start that building process. It was a battle in which both girls came away with wins but the boys did not. 2-2 draw! Game number 6 was against Hackney. We saw some great tennis from all 4 of our players in this match up with wins from Izzy, Noah and Fred giving us a 3-1 win. Barnet were opponent number 7 in what turned out to be another difficult game. Fred managed to play his game and got us a win, but our other 3 players were largely kept quiet by their opponents in a game where we lost 3-1. The final game of the group against Lewisham. Chances were slim but we felt that we might still be in with a chance of progressing if we could get a win in our final game. Both boys delivered but only 1 of our girls managed the win. It didn't matter as we won the game 3-1 to end with group with 3 wins, 3 losses and 2 draws. 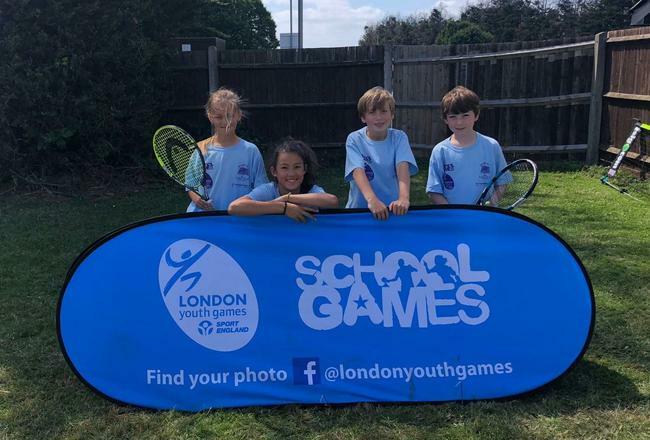 Unfortunately it wasn't enough to get out of the group but it was enough to give us a huge sense of pride and achievement in our first London Youth Games appearance for tennis. Well done Noah, Fred, Lily and Izzy! Today we were back at Crystal Palace to represent Ealing, this time in the Year 5 and 6 Tennis competition. We were brilliant in the area finals so were feeling good, but at the same time with a Year 3 and Year 4 child making up the boys half of our team, we knew that at it would be a tough ask to replicate our area finals performances at the London Youth Games. We were certainly going to try though! Up first was Croydon and as we expected it was a tough start. The standard was very high, but it was actually 1 of our boys who got the teams only win as Toby made sure we didn't lose the first game 4-0. Next up was Redbridge and we saw some improvement in our game here as Sophie and Serafina both got wins, however Jake and Toby couldn't follow suit on this occasion so the game finished 2-2. 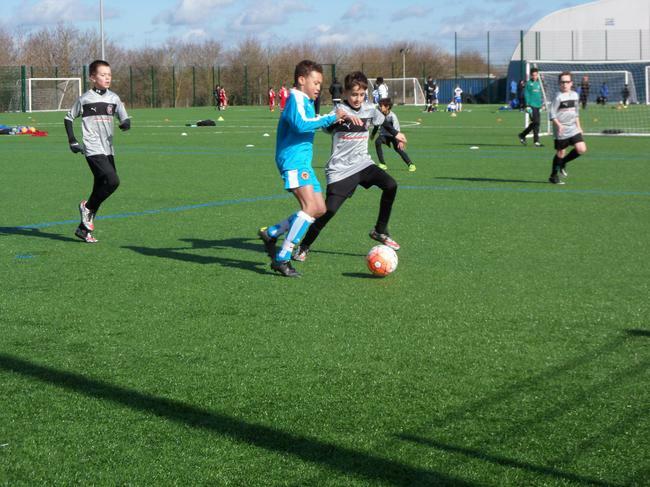 Our third game of the group was against Newham. Every member of their team was strong and game by game we lost. It was a big 4-0 loss for us, to give us 2 losses and draw at the half way point of the group games. 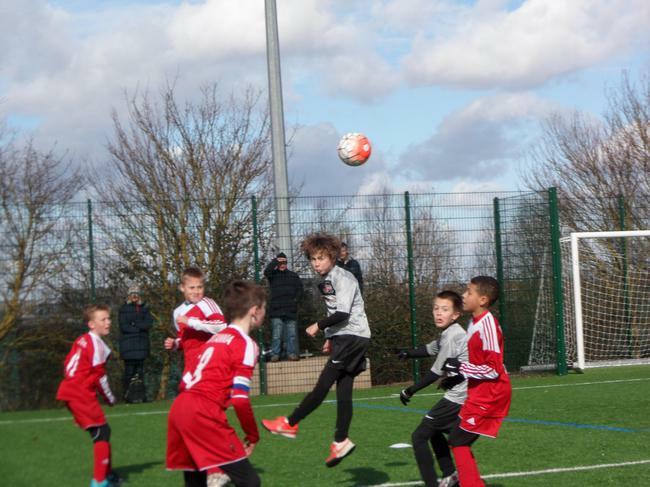 The fourth game of the day saw us face off with Hackney. It was becoming a trend we did not like as the teams we were playing seemed to get tougher with every game. Toby again got us a win, but the other guys unfortunately couldn't so again we lost 3-1. In the penultimate game of the group we knew we were not going to progress through to the next round of groups even with 2 wins from our final 2 games and perhaps this affected our game. Hammersmith and Fulham showed themselves to be another strong team as they handed us our 2nd 4-0 loss of the day. Finally we were competing with Lewisham to try to salvage the day. Prior to the game starting the Lewisham team looked very good but we did manage to play some good tennis as Jake and Serafina both got wins to secure another 2-2 draw. So at the end of the 1st group stage we had not progressed through to the next round. However, considering we had a Year 3 and 4 boy competing against Year 6s and one of our girls called up as a last minute replacement to the team we didn't leave with our heads completely dropped. Well done guys, it was a still a fantastic achievement to get the London Youth Games as the best team in Ealing this year! You should be proud! 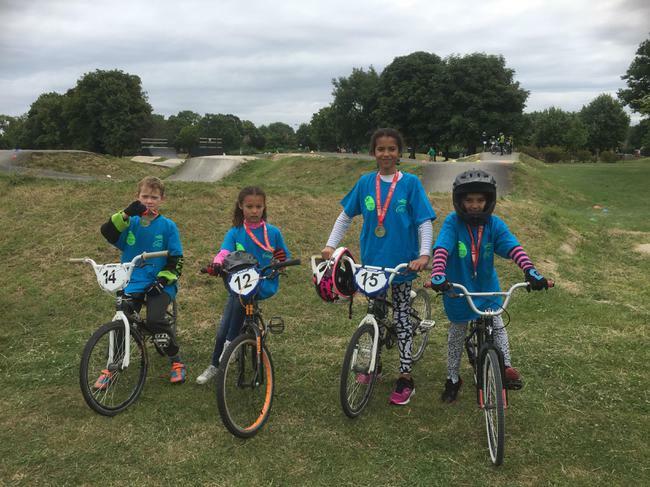 On Sunday 18th June 5 current Fielding pupils and 1 ex-pupil represented Ealing Borough in the London Youth Games BMX event. Sara, Shangwe, Maisha, Bradley, Nathan and Bethany who left us last year, all jumped on theri BMX's to get to Brixton BMX track in Brockwell Park. 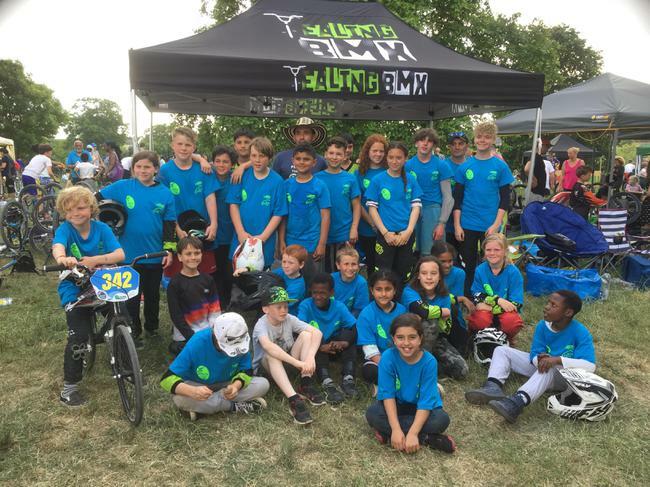 The Fielding guys, alongside children from other Ealing Primary schools raced fantastically on the day and finished the day in 2nd place overall, earning silver medals and recognition for being the 2nd best BMX team in the whole of London! That is the highest position Ealing has ever finished in at the London Youth Games BMX event. 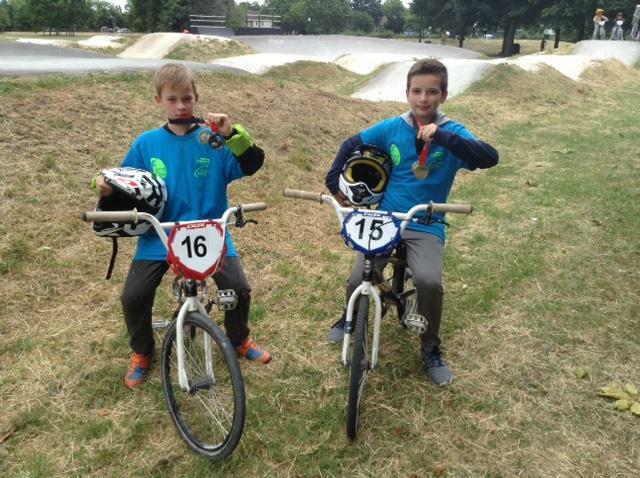 All 5 of our guys are members of the Ealing BMX club and have been training there every Saturday. 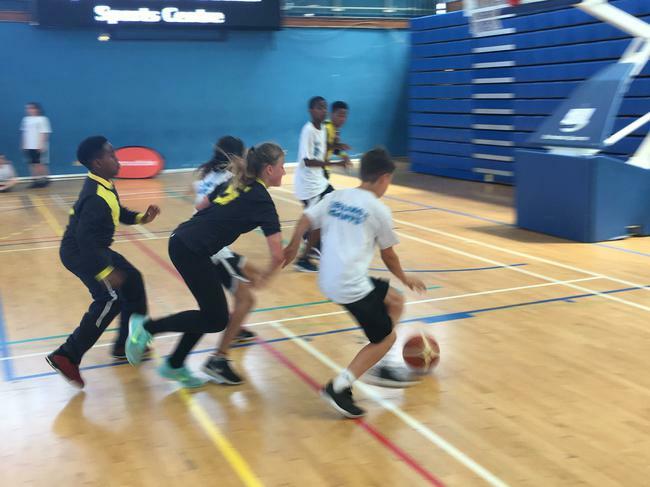 The BMX coaches commented that the LYG track at Brixton was much bigger than the one they train on but were all very impressed by the way the children tackled the course. Sara, Shangwe, Maisha, Bradley, Nathan and Bethany, you should all be very proud of your achievements! Well done! The Fielding girls football team finally arrived bright and early to Crystal Palace today for their first ever taste of the London Youth Games. 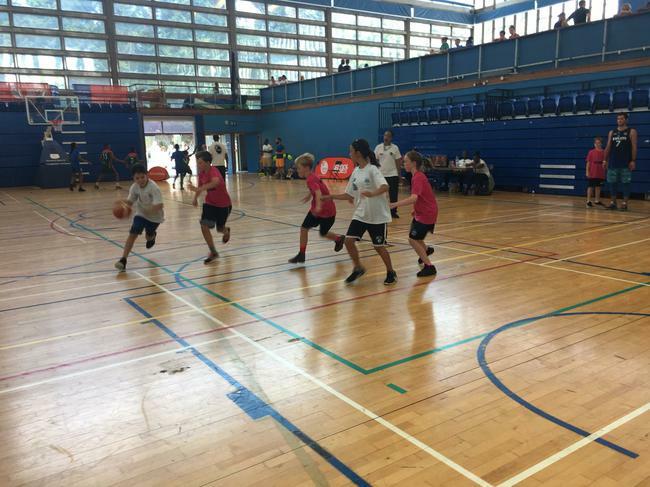 Just getting to the tournament today was no easy task as they first had to qualify for area finals ahead of 23 other Ealing schools. At area finals the 2 best Ealing schools played against the 2 best Southall schools who came through the same process with the winners of that tournament getting the opportunity to represent the Ealing Borough against 31 other London Boroughs at the Games. 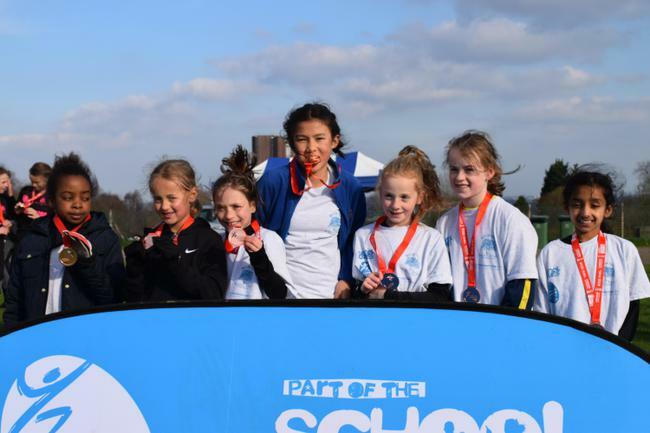 So before a ball was even kicked today the girls were among the best 32 teams in the whole of London in a competition that started with around 770 schools!! We started off the day in a group of 4 teams with the top 2 teams qualifying for the medal competition which would start in another group! We were drawn with Camden, Kingston and Greenwich in a group where we knew absolutely nothing about any of the teams we were facing. Our first game was against Camden in what was quite a scrappy start from both teams. The pitch was wet and boggy which didn't help but eventually we had a breakthrough as the ball came to Alessia who looped the ball over the Camden keeper and into the net. In a very tight 6 minute game, that was about all that happened! First game was done and we were off to a good start with a 1-0 win. Game 2 was against a Kingston team who looked like they good be a very good team, with their captain in particular looking like she was a dangerous player. Throughout the game we nullified their threats quite often with some superb defending from Riya and they did the same to ours. The 6 minutes flew by and the game ended 0-0. Four points from six though so we were looking in good shape to go through.Our final game in the group was against Greenwich. We were starting to get into our stride a little more in this game but still weren't able to create much in the short games. However, after some good possession the ball was played through to Alessia again who gave us the 3 points with another well taken goal. So with 2 wins and a draw from the initial group we had done enough to go through top of the group and into the medal competition. The next stage of the competition was 4 groups of 4 with the top 2 teams in each group progressing through to the quarter finals. We had Havering, Merton and Croydon to get through if we wanted to make the quarter finals. First up we had Havering who looked like they could be the toughest team in the group. As expected at this stage of the competition it was a tough game and there really wasn't too much between the two teams as again both teams struggled to create any meaningful opportunities.So when the whistle blew we had started off another group with a 0-0 draw. 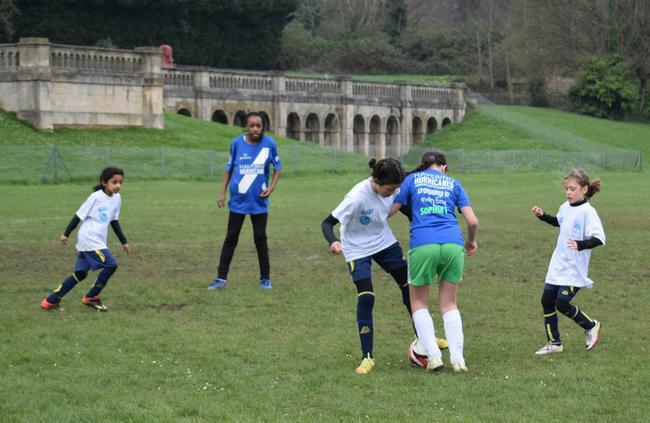 In the other game in the group between Merton and Croydon, it also ended goal-less so we were all square in the group. Our second game was against Merton and to try to create more chances we changed formation by going with 2 in the middle and adding a player in between midfield and striker. Oona came into the new role to try to make it work for us. The change did seem to work as we had the ball in the opposition half for large portions of the game and nearly went ahead through a fine strike from Lily. Still no goals though and suddenly Merton were on the break and had a 1 on 1 with Alicia. Alicia stood her ground and parried the shot wide to keep it at 0-0. The whistle blew and the game ended without a goal once again in this group. It must have been a bad pitch because in the other game in the group after us, it again finished 0-0. So after 4 teams had played 2 each everybody had 2 point and 0 goals! Merton and Havering were up next in our group with all of us knowing that should there be a winner, the winner would go through to the quarter finals. Merton stole a goal and won 1-0. They were through. That meant that win in our final game against Croydon would see us through. After having a break in the previous game Alessia was restored to her usual number 9 position which meant Izzy went into the spot behind her. The team were brilliant and created a number of good scoring opportunities before it was our number 1 goal scorer who popped up again to put us ahead. Not long after the whistle went and we were through. However, to determine who went through as group winners and therefore playing a 2nd placed team in the next round we had to go into a penalty shoot out against Merton. Lily scored the all important penalty to give us the top spot. 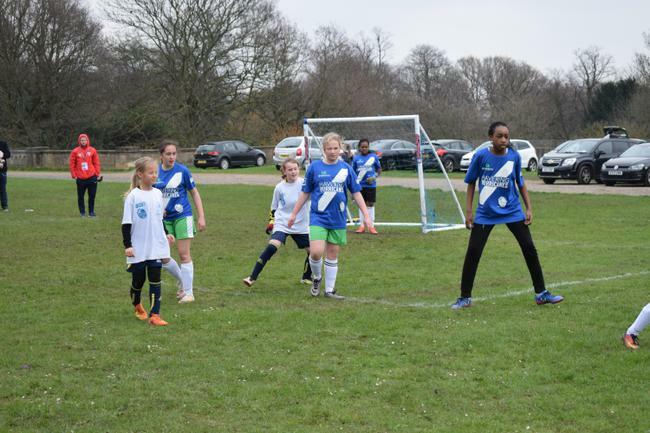 In the quarter finals we were drawn against Lewisham, a team who in all honesty we were surprised to see in the knockout stages. We were very happy with our new formation and felt very confident going into the game that we could get a win. Serafina was breaking up play in the midfield very well in this game and was able to pass the ball on to again create chance after chance. But still the ball would not go in. Lewisham barely got the ball out of their half for the whole game but they held on for a 0-0 draw and forced the tie into penalties. To make it more tense penalties were sudden death straight away so every penalty was pressure filled. After some excellent goalkeeping from Alicia and some calm penalties from Lily, Izzy and Serafina we were through!! Into the semi finals of the London Youth Games. 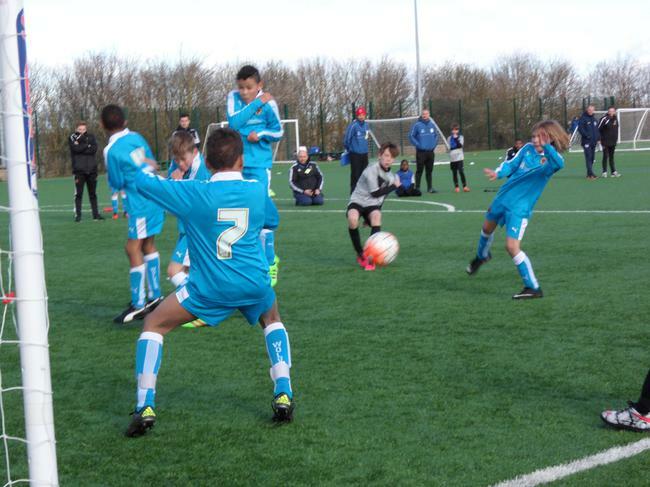 The semi final saw us drawn against Kingston, a team we drew with 0-0 in the initial group stages of the competition. However, knowing that we were now playing some great football compared to the start of the day we were again feeling confident. We started great and were on top of the game early on with some great dribbling from midfield from Lily and Serafina. Again the ball was played into Alessia who put us 1 up early in the game. Now we had to remain composed for quite a large portion of the game. We were doing well but then a brilliant move from Kingston left Alicia 1 on 1 with the Kingston captain and even Alicia couldn't stop this one as Kingston equalised. The whistle went and we were left with another penalty shoot out. Kingston had the first penalty which for some reason had '1 step' rule introduced. Both teams struggled to adapt to this rule with the sudden death penalties going all the way through the teams to the goal keepers and then back round again. Eventually Kingston scored and we couldn't and we were out! 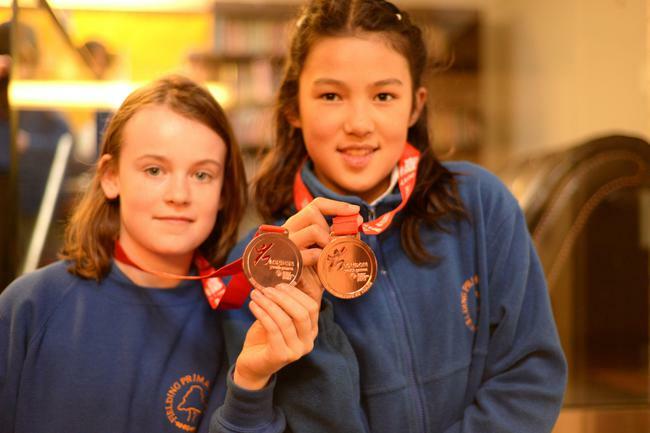 The girls, the teachers, the parents and the crowd that had gathered were all gutted as Fielding played out of their skin to get this far in the competition and had to settle for bronze. 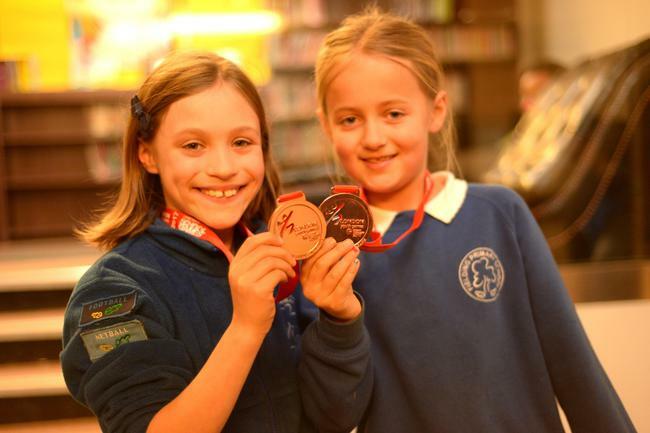 If at the start of the year we told the girls they could have a bronze medal at the London Youth Games they would have snatched it away straight away. However, it says a lot about how far the girls have come and their determination to be winners that they were all in floods of tears at being named as the 3rd best team in London! What an incredible achievement from the girls though and one we are all very proud of. 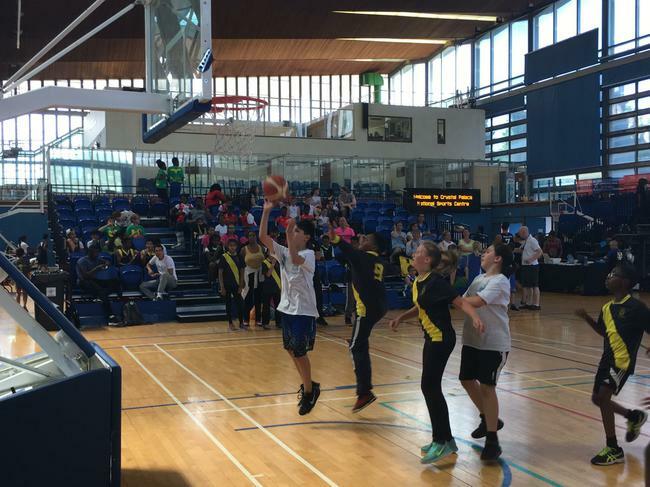 We can't wait for next year when we will work our socks off to get to the London Youth Games again and get the gold and the number 1 spot that was so close this time round! The long awaited Reading tournament, hosting some of the best primary school teams in the south of England, finally arrived today. After an hour drive on the M4 we arrived full of excitement. Fielding, representing Brentford FC were drawn in a group with Charlton, QPR, Bristol City, Wolves and Ipswich. Upon arrival we were told Charlton had pulled out so we were given two 2-0 wins straight away, what a start!! Our first actual game was against Ipswich. The boys on both teams seemed nervous in this first game and ended the game without a shot on goal from either team. A very cagey 0-0 draw taught us that these games were over quick at only 6 minutes long. We needed to be more positive. 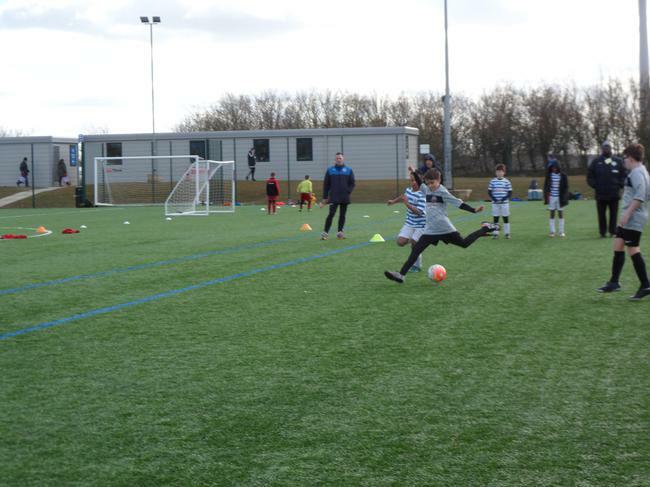 Our second game was against QPR and a school we knew a little bit about, St. Raphael's. Fielding got on the ball and were looking comfortable. Sonny received the ball wide on the right and had a pop from a very tight angle. The ball shouldn't have went in but somehow it squeezed in past the keeper. 1-0! That goal perked us up more and gave us nice early boost. Shortly after Luka T ran through the QPR midfield and played a lovely through ball to Luka V who calmly slotted home for Fielding and Brentford's second. Final score 2-0. Charlton would have been our next opponent but as they didn't come we were awarded a 2-0 win and a short break before our next game against Bristol City. Luka V scored an early goal for Fielding to give us the advantage straight away. After that there was a number of very good chances to score that we didn't take. Fielding remained composed and continued to play some great football and eventually Sonny was put through 1v1 with the keeper and expertly placed the ball into the bottom corner. Another 2-0 victory. Our fourth game was against Wolves, a team that looked quite good in the games we had seen them in. Fielding had a little bit of luck with another shot from Luka V which took a deflection past the keeper and into the net. Not long after going 1 up, we won a free kick just outside the area. Luka V, confident after another goal stepped up and curled a shot past the wall and beat the keeper, but not the post! Still 1-0. A few minutes later Wolves were on the attack and had a good effort saved by Noah. Noah saw Luka T making a move down the left and rolled out to him, Luka dribbled the ball forward and played the ball across to Artie who demonstrated more fine shooting from Fielding to score our second goal. That wrapped up the game and gave us another comfortable 2-0 win. After playing everybody in the group once we were moved onto a different pitch to play everybody in a second fixture. It was time to play Ipswich again, the only team we hadn't beaten so far. Fielding now had some momentum though and were playing with confidence. The boys had worked out they had to start quickly and were off to another flyer when Sonny followed up a shot from Artie who put away from close range after the keeper spilled. After another good spell of possession Fielding won a corner which was whipped in by Luka T. Michael rose at the back post to head past a helpless keeper. We were 2 up with a few minutes to play still, and the boys wanted more. After one of the best passing passages Fielding have had this year the ball was given to Sonny in front of goal who scored his second of the game. A great display saw us finish off 3-0 winners. Next up was QPR for the second time. The boys were very confident going into this game and perhaps this was the reason why they ended up getting caught out at the start of the game. QPR played it through to their attacker who put the ball past Noah. 1-0 QPR. The boys heads dropped and conceded another goal shortly after which led to our first defeat. The boys were shell shocked and now had an unwanted 15 minute break because of the Charlton no show to mull it over in their heads. Next was Bristol City though and a chance to get back to playing some good football. The boys were struggling though after their first loss and were playing with no confidence at all. Heads were still down and after a game of creating nothing for ourselves Bristol popped up and scored to win 1-0. 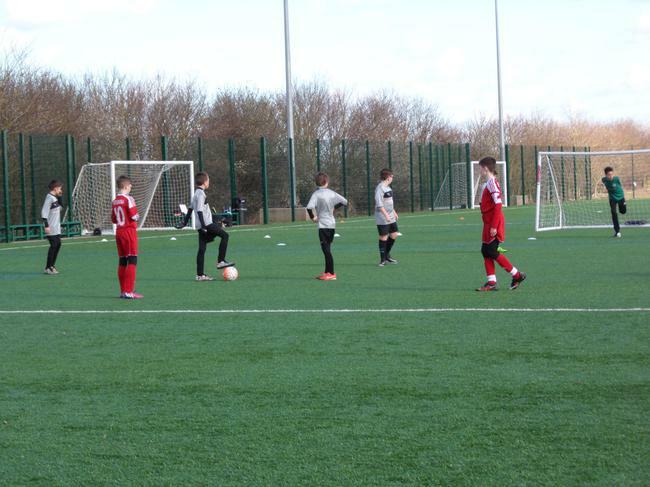 Unfortunately it was the same story with our second game against Wolves which resulted in another 1-0 defeat. With Mr Winn and Mr Thomas, the parents and the boys all scratching their heads wondering what had just happened we waited to see if we were through to the semi final. The top 2 teams in the group went through and because of our earlier good form we still managed to finish top of the group. We were up against the runners up of Group 1, MK Dons.The news that they made it through seemed to lift the boys as they created a couple of early chances, but nothing to test the keeper yet. 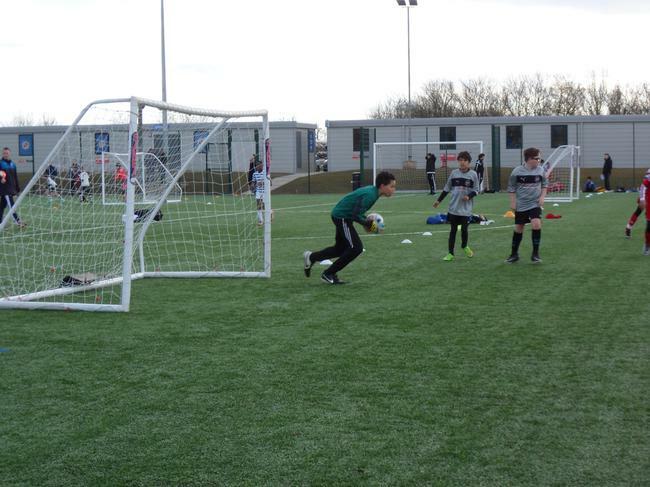 After a very tight game MK Dons hit a shot from outside the area which beat Noah low to his right. We quickly got the ball out of the net to restart, ready to try to get a goal back when the horn sounded for the end of the game. We lost 1-0 in the semis to the last kick of the game. We stayed to watch the final, which was contested by Ipswich, from our group and MK Dons. It was scrappy game which was won by a shot off of the shin of the Ipswich striker. Ipswich won the chance to play in front of a full Wembley stadium during the Championship Playoff Final in May. Fielding could be happy that they we made it as far as we did but unfortunately were left imagining what it could have been like at Wembley. Well done though boys, its been a great season. Peal shield final in a few weeks to hopefully finish with another trophy!